Fall always promises so much to look forward to except the miserable extra pounds many are usually stuck with by the end of season. What is a poor Mama to do? Listen up, Mamas! Please don't despair. You can enjoy fall-icious flavors like pumpkin pie spice and you CAN get your slim on while satisfying your holiday taste buds - never denying them one mouthful of "festive flavor" indulgence. 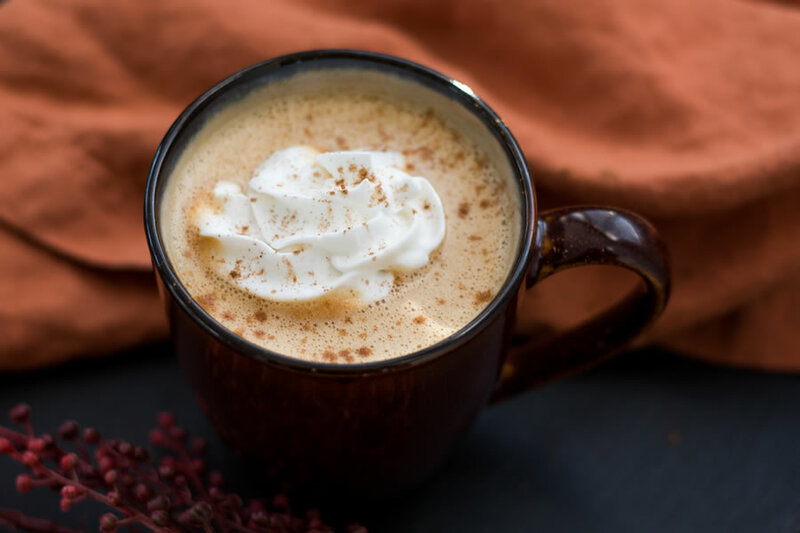 Plug yourself into the taste of Autumn with our Pumpkin Pie Sip! Steep the rooibos tea bags in a mug of boiled water for several minutes. Discard the tea bags and pour the tea into a blender with all the remaining ingredients except the ice (if using). Blend until smooth and frothy. This your Pumpkin Pie Sip concentrate. Now take a second to muse upon whether you want your drink chilled and refreshing or hot and soothing. Pour the concentrate into a 2-quart jar. Fill to the brim with ice cubes, then pour in the concentrate and top off with cold water. Stir, taste, and adjust the flavors until it rocks your holiday world. For a hot sip, pour the concentrate into a 2-quart jar and add enough boiling water to reach the top. Taste and adjust as necessary. You can put this yummy mixture in a large stay warm carafe (cheap from Walmart) and use an insulated cup for when you are on the go. - You can replace oil and whey protein powder with ½ cup unsweetened almond milk, if you don't have those ingredients.